Using charts and graphs is a great way to break up long and difficult information, and make statistical data more easily digestible. You’ve no doubt heard the old saying “a picture is worth a thousand words.” This is certainly true when you are presenting or explaining data. You can use tables to present information, but if you want people to try and make sense of complex information with figures, trends or comparisons more easily, then charts and graphs let you present information in an intelligent and meaningful way that can be quickly processed. Graphs and charts help explain complex information so people can more easily interpret it! If you plan to display visual data like pie charts, comparison bars or trending graphs that contain static information (e.g. historical data), a simple method you can use is to create your graphs or charts using an image editing application, convert these into jpg and png files and then simply add your image files to your page or post. If you want to easily create dynamic bar charts and pie graphs in WordPress, however, (especially if you would like to do this with no code editing skills required, then a simple way to do this is by using a plugin. 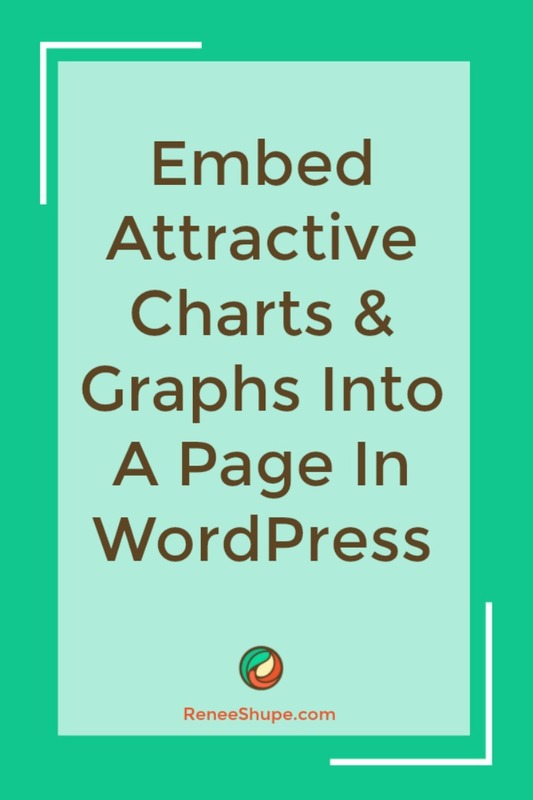 Fortunately, there is a great plugin for WordPress sites that is simple to install, easy-to-use and allows you to not only create beautiful and interactive graphs and charts, but to also populate your graphs and charts with updateable content. Visualizer is a simple, easy to use and powerful tool that allows you to create, manage and embed colorful and interactive charts into your WordPress posts and pages in just a few mouse clicks. Visualizer uses Google Visualization API to render charts, which support cross-browser compatibility (adopting VML for older IE versions) and cross-platform portability to iOS and new Android releases, and are based on pure HTML5/SVG technology (adopting VML for old IE versions), so no additional addons are required. Visualizer is flexible and customizable, allowing you to use Google Chart Tools with their default setting, or configure an extensive set of options to match your site’s design. Several options are available for each chart that allow you to further customize their settings. Additionally, charts are rendered using HTML5/SVG technology to provide cross-browser compatibility (including VML for older IE versions) and cross-platform portability to iPhones, iPads and Android devices. Your web visitors can see your charts and graphs on their mobile devices without requiring the installation of extra software. When you first install the plugin, the library will contain no charts. Your next step is to add add charts and graphs to your library. An image gallery displaying all of the different types of graphs available will come up on your screen. The selected graph/chart type will open up in a lightbox. Your first row includes the column headings. If you are not sure how to format your CSV file, just study the sample file supplied with the plugin. Once you have created your CSV file, select the data source (‘From Computer’ or ‘From Web’) in the ‘Upload CSV File’ section. General Settings – Configure settings for the chart’s title, font styles, tooltip, and legend. Pie Settings – Create 3D pie charts, draw slices counterclockwise, set the text content displayed on the slice, create a “donut” pie chart, rotate the chart’s “start” angle and set the slice border color. Residue Settings – Set the ‘Visibility Threshold’ (the slice relative part, below which a slice will not show individually. ), ‘Residual Slice Label’ (the label for the combination slice that holds all slices below slice visibility threshold, e.g. “Other”), and ‘Residue Slice Color’. Slice Settings – Customize the ‘Slice Offset’ (how far to separate the slice from the rest of the pie), and ‘Slice Color’. Layout & Chart Area – Configure the layout (total size of chart) including the width and height of the chart as a number of percentage, background color for the main area of the chart and the chart border width and color, and the placement and size of the chart area (where the chart itself is drawn, excluding axis and legends). After creating a new chart or graph and adding it to the Visualizer Library, adding it to pages or posts is really very simple. As you can see, WordPress Visualizer lets you add and customize dynamic charts and graphs in your content. You can update your data and the changes will automatically be reflected throughout your website. This makes working with dynamic graph data in WordPress very easy. 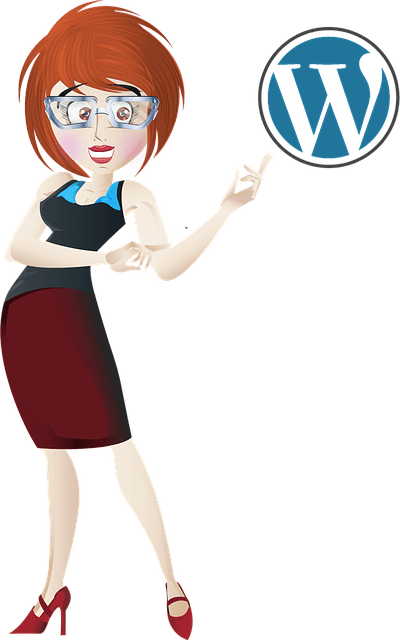 The developers of this plugin have created a series of tutorials you can refer to for ways to edit, customize and use WordPress Visualizer. Congratulations! Now you know how to add beautiful and mobile-responsive pie charts and graphs to your WordPress posts and pages with WP Visualizer plugin.